Today I went off to canary wharf to pick up some toiletries. My friends decided to meet me up to give me things I wanted. She was starving so I suggested to abuse my discounts as a tastelondon and gourmet society member. She fancied pizza, as I was not sure where gourmet pizza was I suggested pizza express. As a tastelondon member you will receive 241, buy any starter, main and dessert. You will receive another one of each entirely free. We ordered Monte bianco pizza, and the four seasons pizza. The four seasons pizza had a super salty fish as a topping and my friend was gasping for her drink and removed the fish hastily. The Monte bianco had a creamy base and we all loved it. Lol sorry I didn’t take any photos of the pizza. 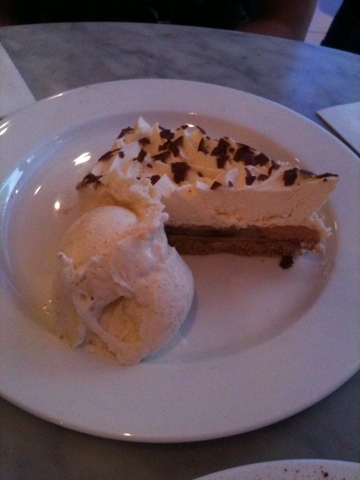 For desserts we ordered banoffee pie and tiramisu. 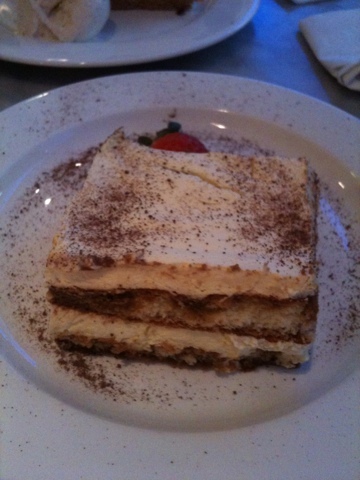 I’m not a fan of tiramisu it’s too rich and strong for my liking. The banoffee pie was nice bananas was fresh served with vanilla ice cream, I can see the tiny specks of vanilla pods in the ice cream. In total our bill was £20.90, a tastecard is worthwhile if you dine out a lot. I brought my gourmet society card for £1!